Day 1: Arrive Amman. Meet and assistance upon arrival, transfer to hotel in Amman. 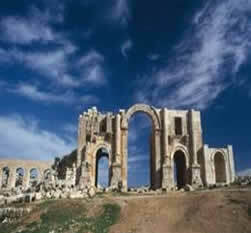 Guided tour of Jerash. The site is one of best preserved Roman Cities in the world. 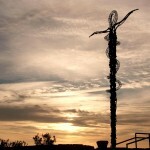 Visit Mount Nebo where Moses viewed the Promised Land. The Panoramic view encompasses the Jordan River Valley, Dead Sea, Jericho and Holy Land. Visit Madaba, see the mosaic map of the Holyland, located in the 6th century church fo St George. Continue to Petra for Overnight. Start the visit with a horse ride from the main gate of Petra to the entrance of the old city. 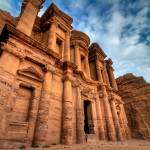 Guided tour of the ancient Nabatean city of Petra, carved out of rose coloured stone. Petra is one of the new seven wonders of the world and a UNESCO Heritage Site. Afternoon tour of Wadi Rum, known as Lawrence of Arabia country. 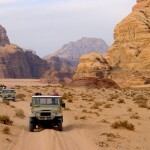 View the amazing desert landscape in 4×4 vehicle. Return back to Petra for overnight. Transfer from Petra to the Dead Sea. Day is free at leisure to relax & rejuvenate in the therapeutic salty water at the lowest point on earth. Enjoy floating experience and hotel spa facilities. Day 5: Transfer to Amman airport for departure. Located just 2km from the legendary site of Petra, at the town's entrance of Wadi Mousa, Beit Zaman is a renovated 19th-century village, with winding alleys and streets, that has been transformed into a de luxe resort. The refurbishment of the old village houses has been carried out in keeping with the original architectural style of the region, while providing the luxury and comfort required by today's travellers. Accommodation is spread around the village and all 129 rooms are furnished with authentic local crafts, offering the charm of a bygone era. All rooms feature sitting areas, private bathrooms, air conditioning and heating. Also scattered throughout the village are olive trees, vineyards, figs and citrus trees. The main restaurant offers buffet and a la carte breakfast, lunch and dinner, with two terraces overlooking Petra's rose mountains. The snack bar serves all kinds of refreshing drinks and snacks around the pool and the bar offers a large selection of beverages and cocktails. The shopping arcade is perfect for acquiring traditional Jordanian handicrafts and souvenirs. Located only a few minutes' walk from the entrance to the legendary site of Petra, the Mövenpick Resort features intricate interior design and high standards of service and is one of Petra's most distinguished hotels. The resort's 183 lavishly spacious rooms are tastefully decorated and feature a host of modern amenities including air-conditioning/heating, satellite TV, telephones, tea/coffee making facilities and minibar. All offer a tranquil environment in this ancient city. With seven different dining or entertainment venues there is plenty of choice. The award-winning Al Iwan Restaurant is renowned for its lavishly prepared dinners and Mediterranean culinary delights and for a casual dining atmosphere head to the Al Saraya Restaurant, which offers sumptuous cuisine with a view overlooking the serene pool. Spend your afternoon enjoying your favourite drink at Al Maqa'ad Bar and the Al Ghadeer roof garden is an Ideal location for after-dinner drinks on warmer evenings, offering magnificent views and glorious sunsets. Holiday Inn Resort Dead Sea overlooks one of the most spectacular natural landscapes and is just 30-40 minutes drive from the capital Amman and the international airport. 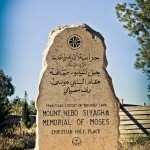 It is also conveniently located to access local attractions such as Mount Nebo and Petra and the biblical site of Jesus' baptism in the River Jordan is just 5 km from the hotel. Just a two minute walk from the warm therapeutic waters of the Dead Sea, the Holiday Inn is a contemporary Arabesque-style resort with 78 well-appointed rooms and 128 chalets, all featuring a private bathroom, air conditioning, satellite television, mini bar and sea or mountain views from the balcony or terrace. The restaurant serves a buffet breakfast and dinner daily and you can listen to live Cuban music at beachfront bar. There is a choice of comfortable lounges to relax in as well as a luxury spa offering mineral-rich Dead Sea salt treatments. With a trio of interconnecting, palm-fringed swimming pools the resort has the longest swimming pool on the Dead Sea coast. The Jordan Valley Marriott Dead Sea Resort & Spa is a stunning property located on the east shore of the Dead Sea. The hotel has 205 air-conditioned rooms, the majority of which are sea facing, each with satellite television, telephone and 24 hour room service. Hotel facilities include several dining outlets, a large series of swimming pools and an extensive Spa offering a variety of treatments. Set on the northern shores of the Dead Sea at the lowest point on Earth, the Movenpick Resort and Spa is approximately 40 minutes from the Queen Alia International Airport. Built in the style of a traditional stone village, the resort features a combination of natural traditional local stone, handcrafted wood, luxurious fabrics and an impressive collection of antiques and artwork. Complete with a river and extensive gardens, it is a tranquil place to relax. Despite the traditional look of the village, all 358 rooms are luxuriously furnished in warm, neutral colours. There are approximately 10 different room categories in either the main building, in the village or on the beachfront with mountain, garden or sea views. All rooms have a balcony or a terrace and standard amenities include air-conditioning, satellite TV, telephone, tea/coffee making facilities, mini bar and a safe. In addition to a private beach and two large swimming pools, the resort offers the ZARA Spa - one of the largest and most advanced in the Middle East. Indulge in the legendary therapeutic secrets of the Dead Sea and relax in the indoor Dead Sea flotation pool. There are also eight restaurants and several bars to choose from, each with their own distinctive cuisine and ambience.